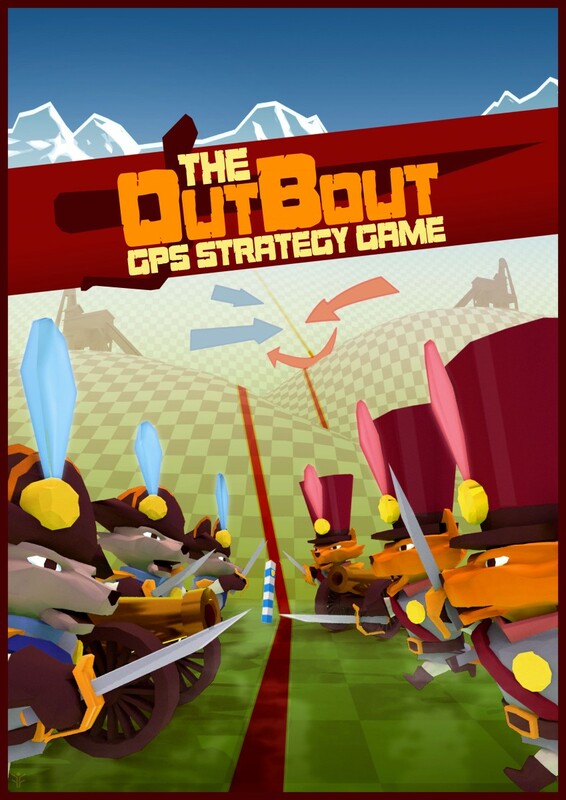 What: Promotional poster cover for the upcoming iOS based casual, freemium, location based, mobile strategy game OutBout by Planetboard. Concept is presented to investors at Slush 2013. Target audience: Investors, kids of all ages, teenagers. Solution: Concept shows the technological backbone of a global gps-board, explains strategy elements of the game full of wild of outdoor action. Visually safe for children and hints of elements of the game-play (Mines). There is a heavy striking energetic logo. Napoleoninc- theme was decided after wide research for it offers a colorful and well known theme for cartoony approach: lots of fancy hats and other visual insignia to exaggerate and without being grim. Theme is also true to spiritual origin of the concept, Risk. 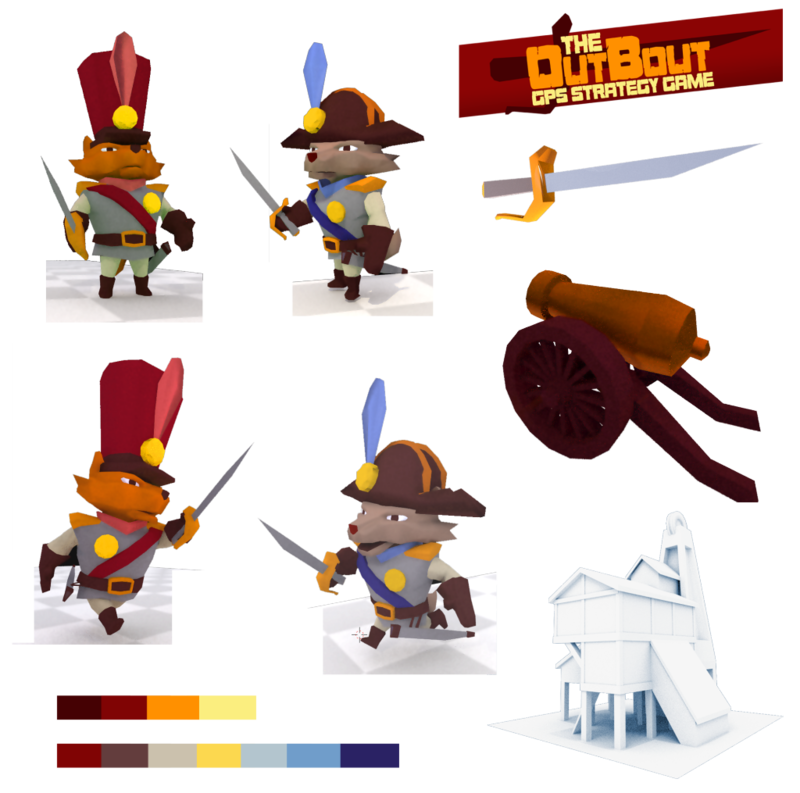 How: Characters and scene layers were 3D-modeled, textured and rigged in Blender and rendered with Cycles. Results: Style of the poster and characters were very liked, with question of of them looking maybe too violent. Assets were used in pitch materials and convention roll-up. 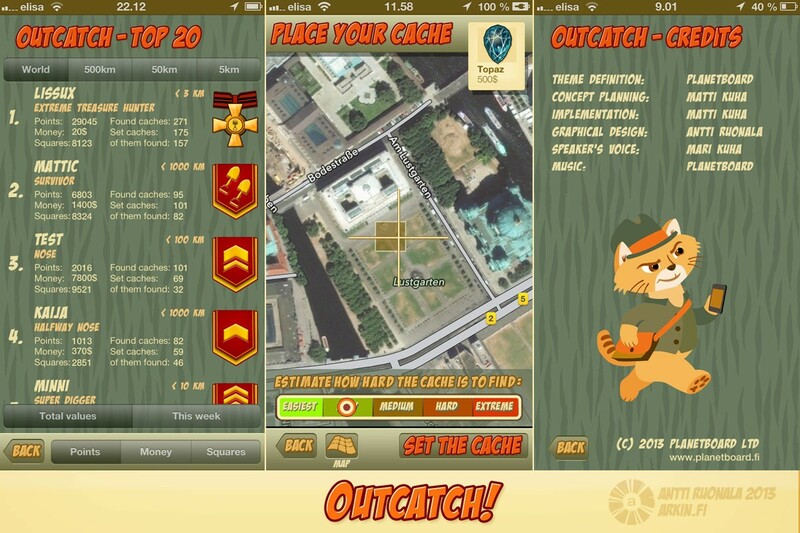 What: Visual identity for IOS based mobile GPS treasure-hunt game Outcatch! by Planetboard. Inspired from the board-game “Afrikan Tähti”. 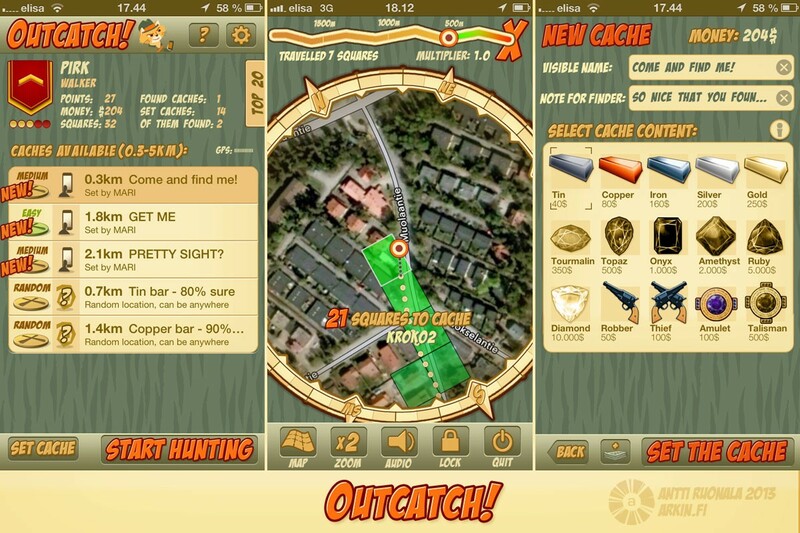 Released on 07/2013, available in app-store. Try it out. Target audience: (Console-) gamers of all ages at risk of spending too much time indoors by the monitor. Solution: Adventurous safari-theme with a cat-mascot who imagines being a Tiger. Outcatch. Special attention paid to engaging icon. Results: Internal reviews with the test group were positive, especially mascot was loved. The icon was acclaimed as clearly distinguishable. 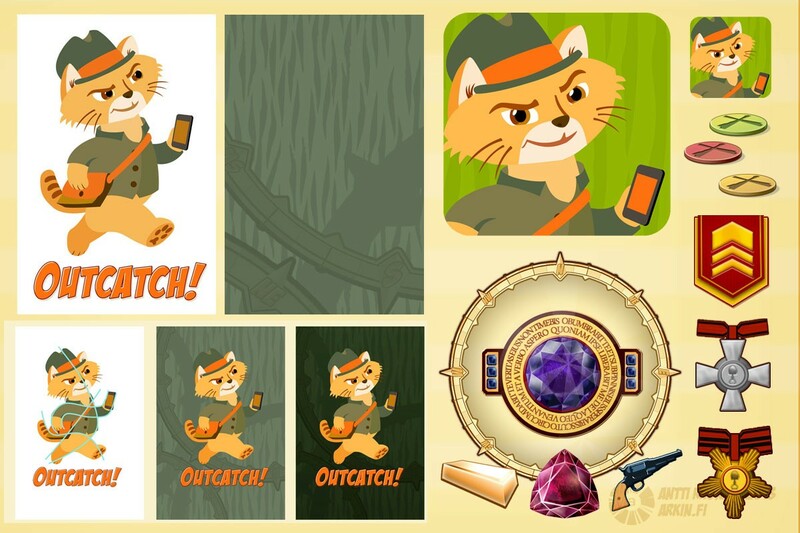 Game got 2nd Reward on Gesundheit 2013 health- game competition by Sitra and feedback of the art-style has been positive.